Want to be a Zoo Scientist? Basic questions about animal behavior come from observations. 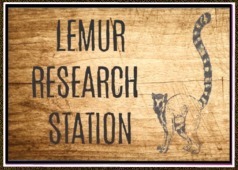 Use our forms to learn more about lemur behaviors and record your own observations. You will find the forms you need to record your observations on the page below. No matter where you live, city or suburb, squirrels probably live in your neighborhood. Take a look around your home, office school or anywhere you are; and if you see squirrels or not please go to http://www.projectsquirrel.org/. 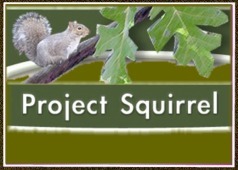 Or feel free to print the PPD Project Squirrel Form (below) and return it to us. We will pass the info along to Project Squirrel. Volunteers to collect and contribute information about the breeding calls of frogs and toads to a national dataset that is publicly available online. The information collected by thousands of FrogWatch USA volunteers across the United States is then analyzed to inform the development of environmental protection and amphibian conservation strategies. 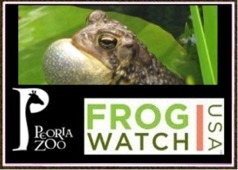 Register for one of our FROG WATCH Training Programs offered in the winter. Pollinators are responsible for 1 out of 3 bites of food we take each day, and yet pollinators are at critical point in their own survival. Many reasons contribute to their recent decline. Increasing the number of pollinator-friendly gardens and landscapes will help revive the health of bees, butterflies, birds, bats and other pollinators across the country. 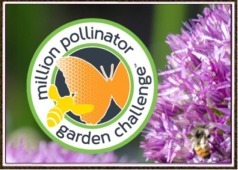 Plant a Pollinator Garden; BEE ONE IN A MILLION! Last year, Mike Ingram photographed over 30 species of butterflies at our Tawny Oaks Prairie. Bring your camera, and learn how to shoot some great photos with Mike. Butterflies like it hot, so bring a sun hat and some cold drinks. This event is part of a worldwide bird monitoring project organized by Bird Watcher・s Digest. We will be documenting all bird species seen in a 24 hour period at Tawny Oaks Prairie. This is a fundraiser for us, so the more birds we see, the more we earn. The more we earn, the more programs and services we can bring to you. You can participate by signing up to take a shift as an observer. You can also participate by pledging to donate an amount for each species of bird we see. To be a part of the Big Sit as either a donor or counter, contact us at (309) 418-7051. An all-out biological investigation of Singing Woods Nature Preserve. Our goal is to document as many species of living things as possible in a 24-hour period. We need folks with various biological specialties and skills. To be a part of the BioBlitz, contact us at (309) 418-7051.